Unless you’ve had your head in the sand, you’ve probably already heard North Korea’s announcement that it completed an underground test of a miniaturized hydrogen bomb. In a video released to the press, a female news anchor on the country’s state-run television station reports “the first H-bomb test was successfully conducted” on 6 January. The size of the explosion, however, is only slightly more than the last incident of nuclear weapons testing in 2013, leading skeptics to question what type of bomb was actually detonated. Several weeks ago, on 10 December, leader Kim Jong-un announced North Korea had developed a miniaturized H-bomb. That claim wasn’t necessarily believed at the time, and the news of an alleged underground test of that bomb has also been met with widespread skepticism and condemnation. Now, quake magnitude readings from the test site suggest the bomb North Korea detonated may not have been what they claim. In addition to simply not wanting to live in a world where a country like North Korea has an H-bomb at their disposal, miniature or otherwise, there is scientific data to back up the notion the bomb test wasn’t a hydrogen bomb – or that some part of the bomb didn’t detonate properly. The size of the explosion or “yield” is measured relative to how much TNT would be required to create a comparable explosion, and this boom didn’t have as much ‘bang’ as it should have, according to experts in the field. Observers seem to agree that a nuclear explosion of some kind did take place in North Korea, but based on its yield, it could not have been a full thermonuclear explosion (an “H-bomb.”) Even if the bomb test wasn’t the hydrogen bomb North Korea announced, this marks the country’s fourth nuclear test since 2006. 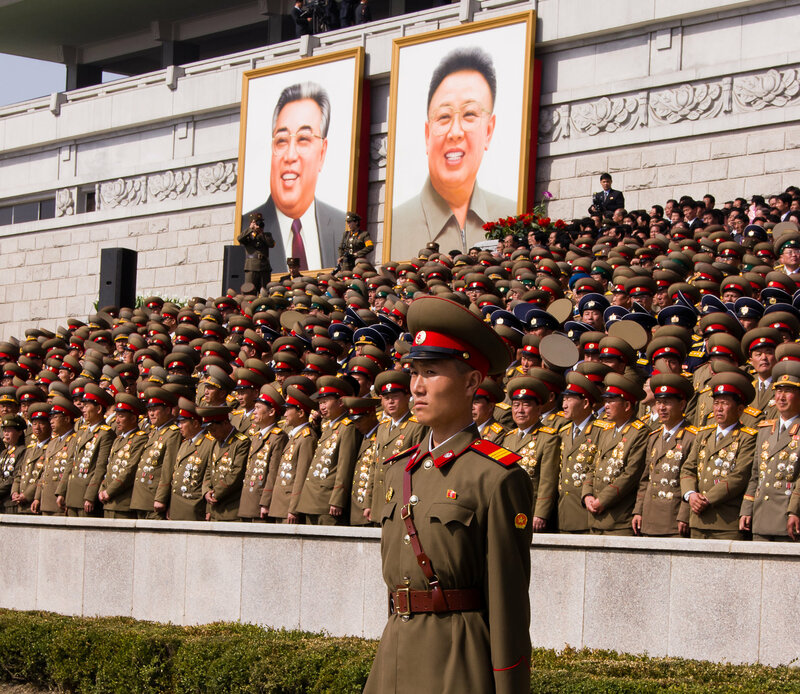 North Korea, whose soldiers are pictured here from a 2012 military parade, claims it has detonated a hydrogen bomb. An announcer on Korean Central Television (KCTV), North Korea's state-run television station, announced the successful H-bomb test.